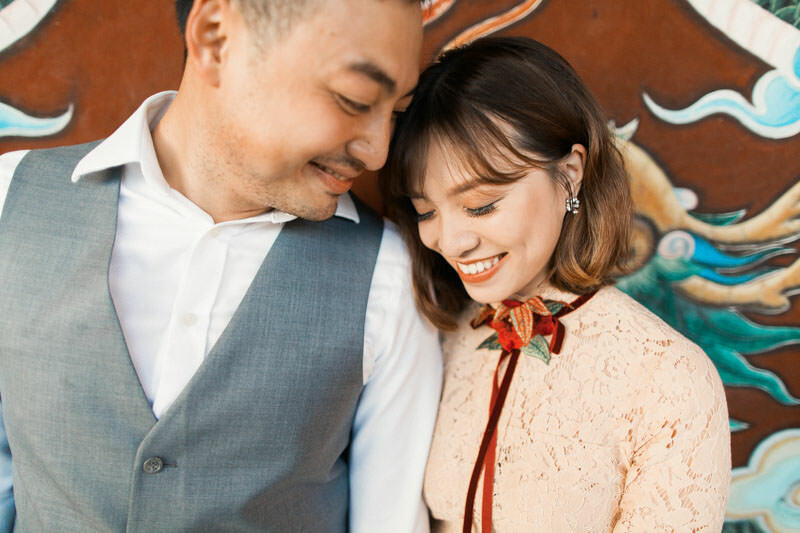 An and Ben were both going to school in Australia, where they met several years ago. 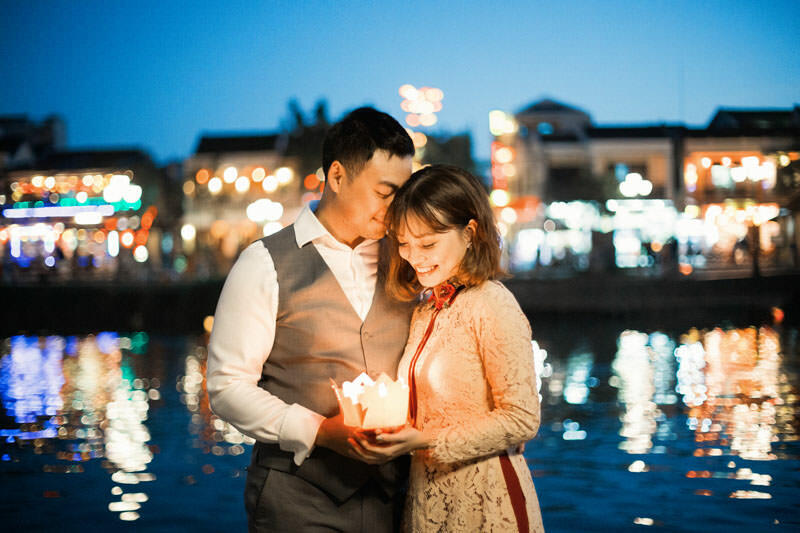 An and Ben are from different parts of Vietnam but have since moved to the city of Danang. 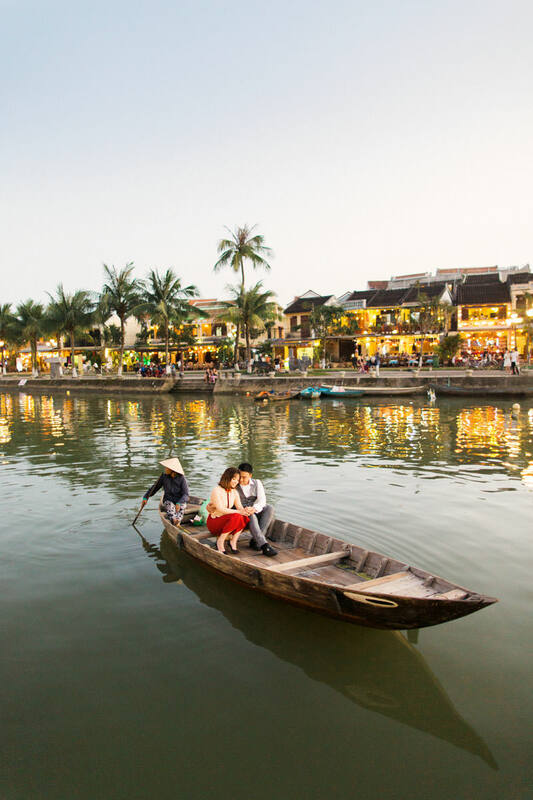 Only about a half hours drive from the city of Danang is the quint and perfect city of Hoi An. 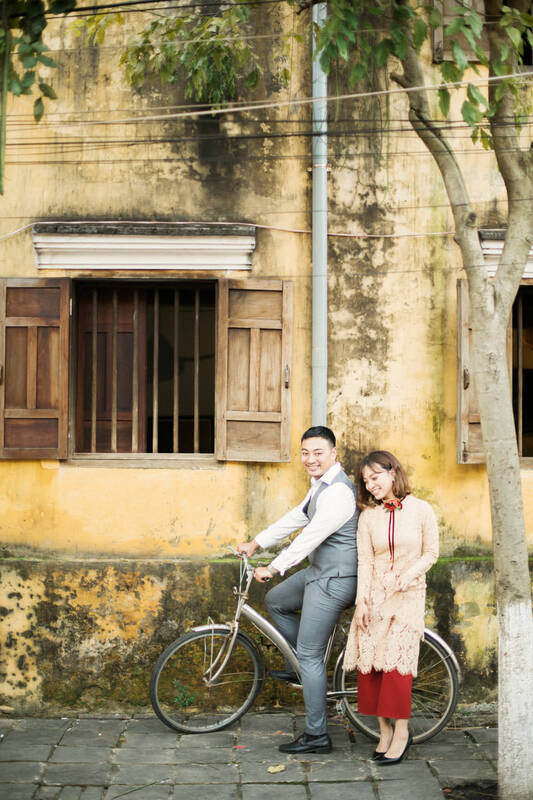 Graceful, historic Hoi An is Vietnam’s most atmospheric and picture perfect town. 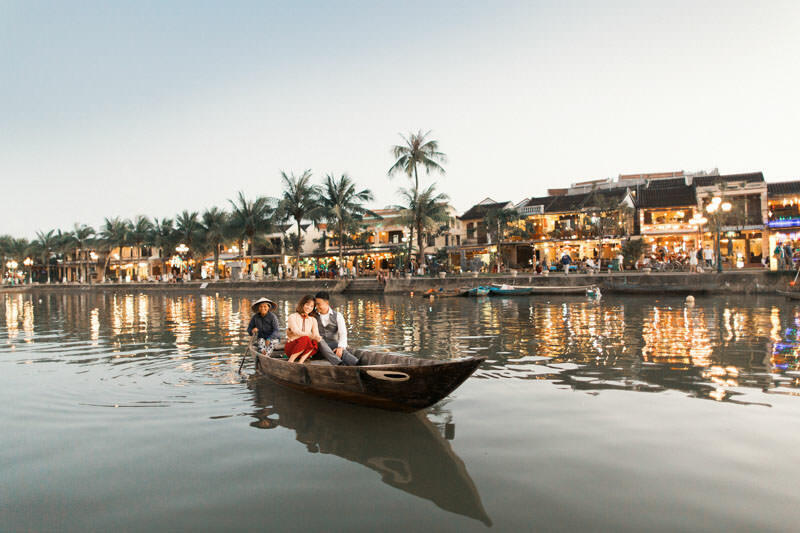 Hoi An was once a major port throughout the ages. 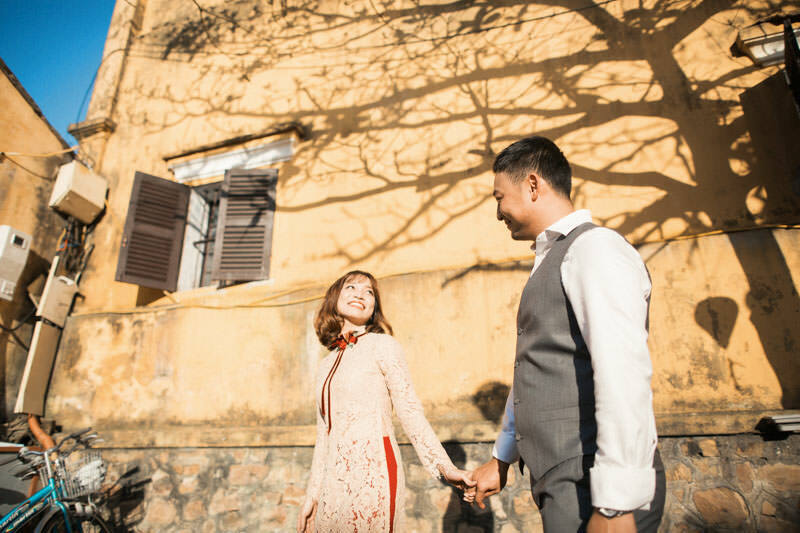 It now boasts architecture and a serene riverside setting that befits its french heritage. One need not worry about traffic as this is largely a pedestrian walking city. 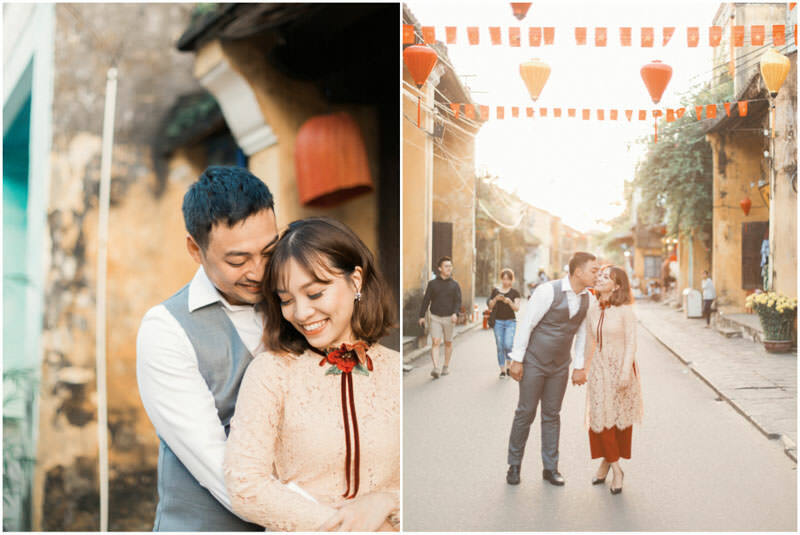 The face of the Old Town has preserved its incredible legacy of tottering Japanese merchant houses, Chinese temples and of course the french colonial architecture. 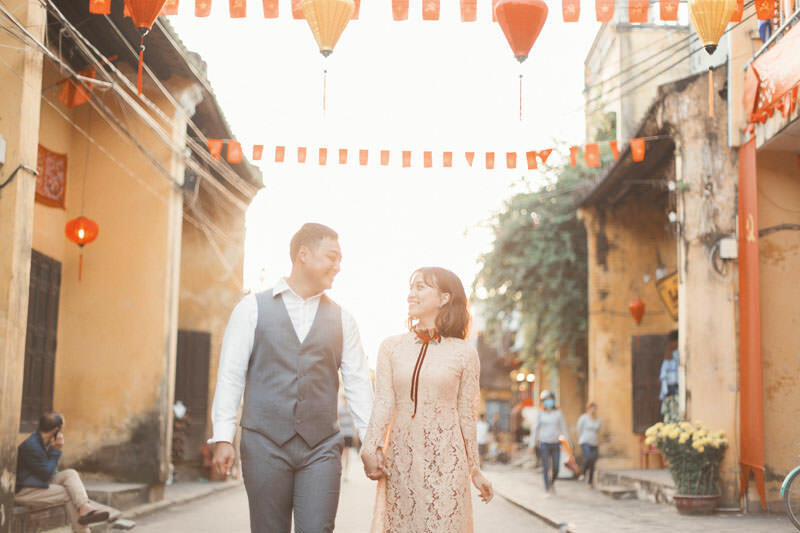 I was so thrilled when An and Ben wanted to have me do their Hoi An engagement photos! 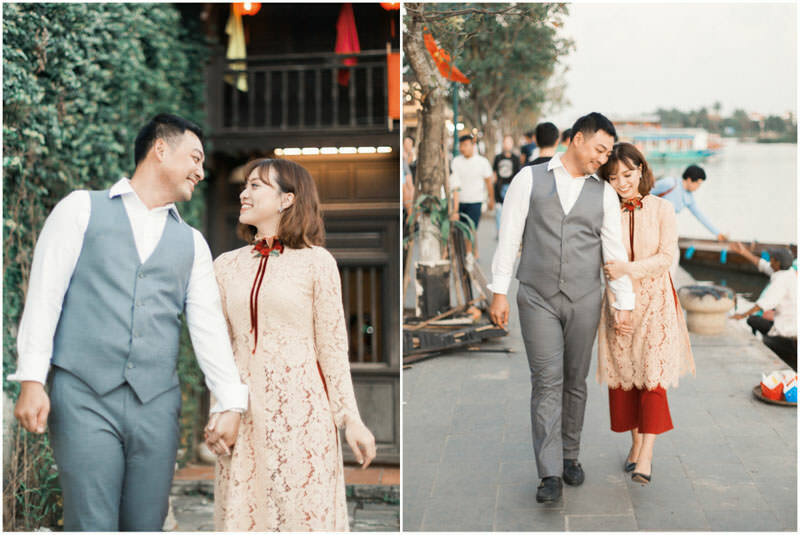 As a destination wedding photographer, I have the opportunity to travel to some pretty remarkable cities. 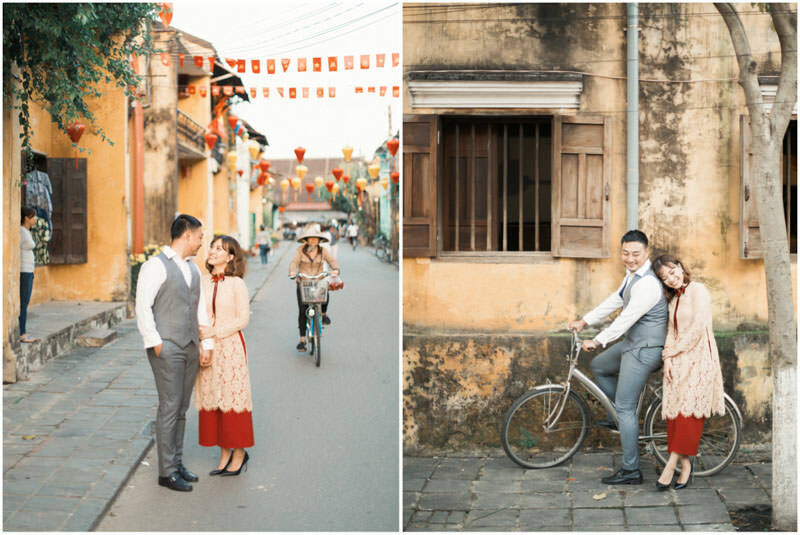 Hoi An, is absolutely my favorite city in Vietnam, and one of my world favorites. 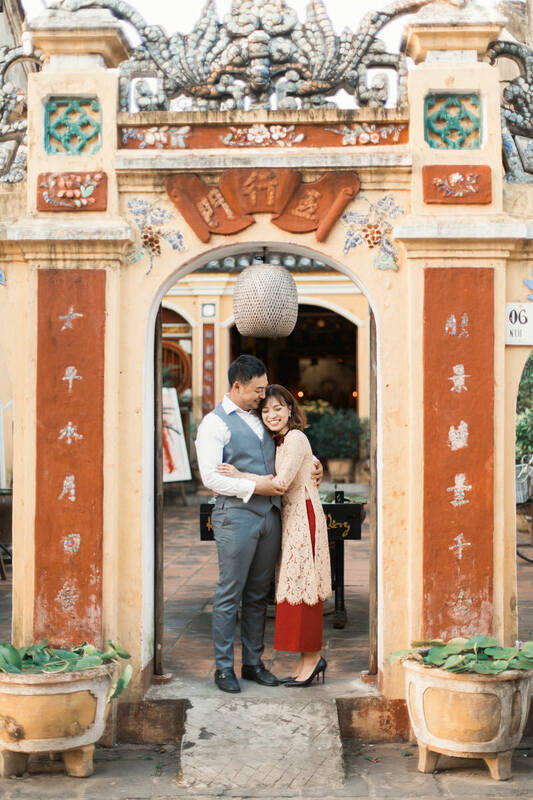 The signature yellow painted french buildings mixed with the Japanese and Chinese influence is photo perfection! 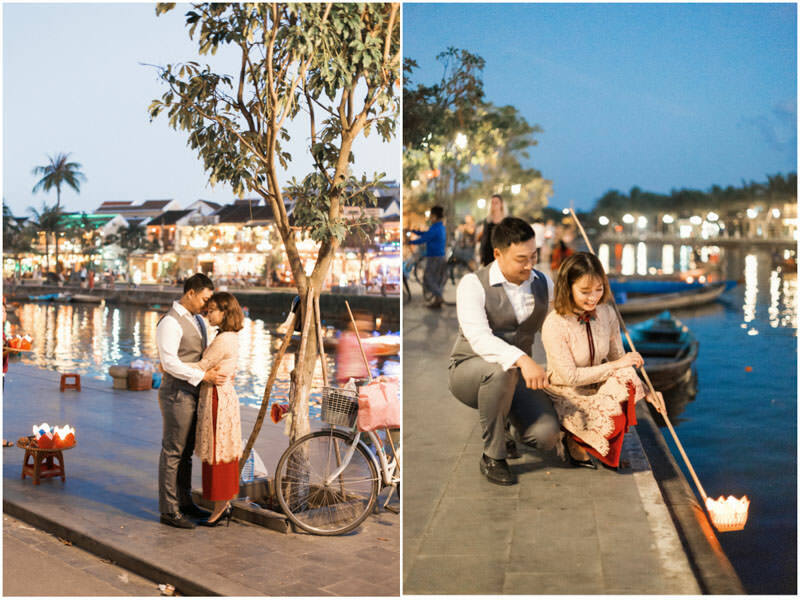 To top it all off the river winding through the city makes for the most amazing sunset scene. 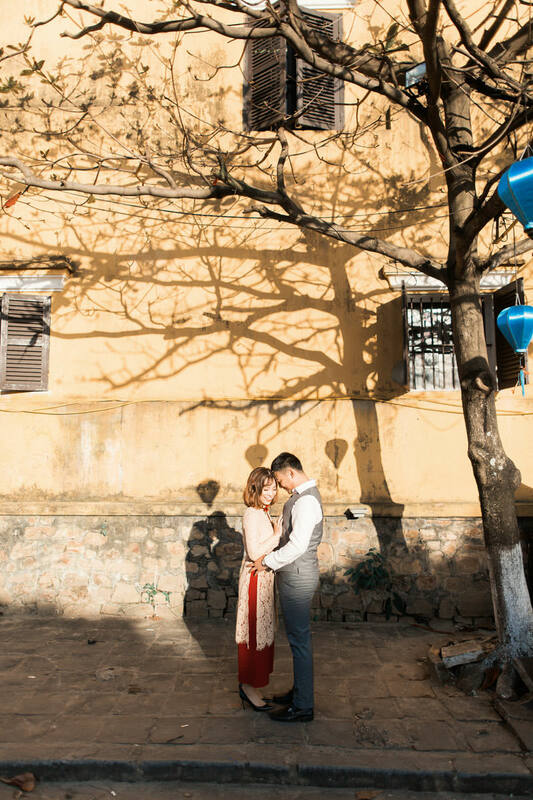 I was so thrilled to travel to Hoi An to photograph An and Ben’s engagement photos. 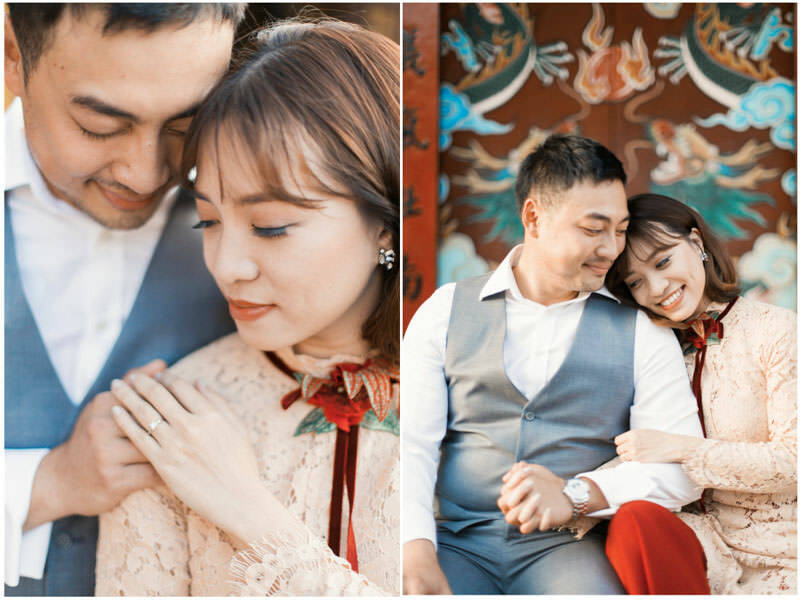 The couple are so fun and absolutely kind. 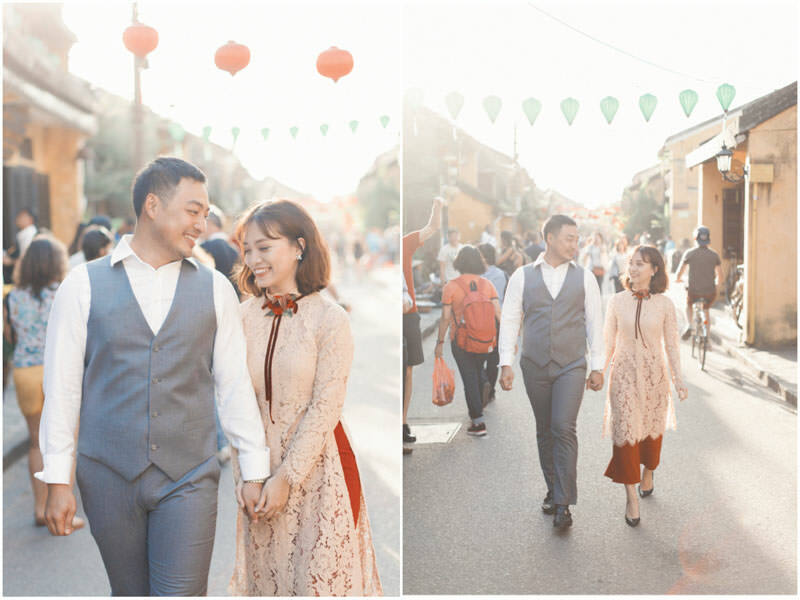 We explored around the city together finding back alleyways and of course taking advantage of the streets lined with paper lanterns. 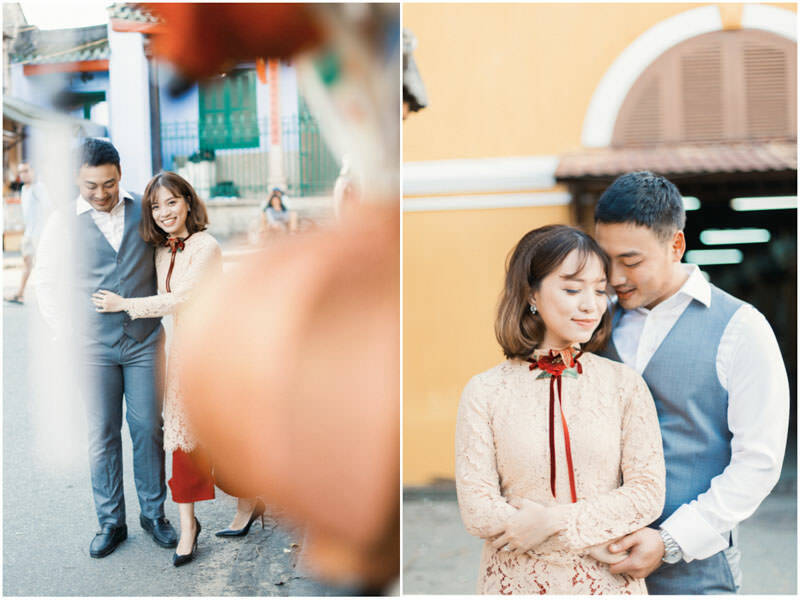 I love all of the color and life of Hoi An for a pre wedding photo session. 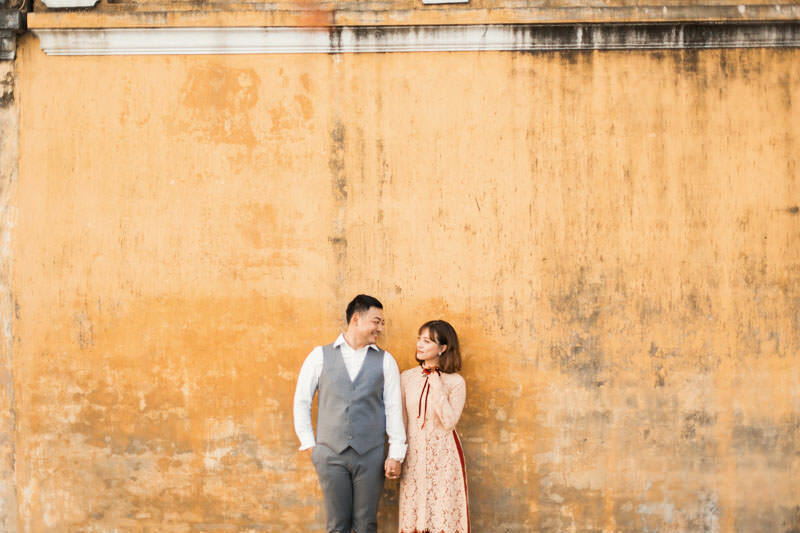 An and Ben wore the perfect outfits for the city. 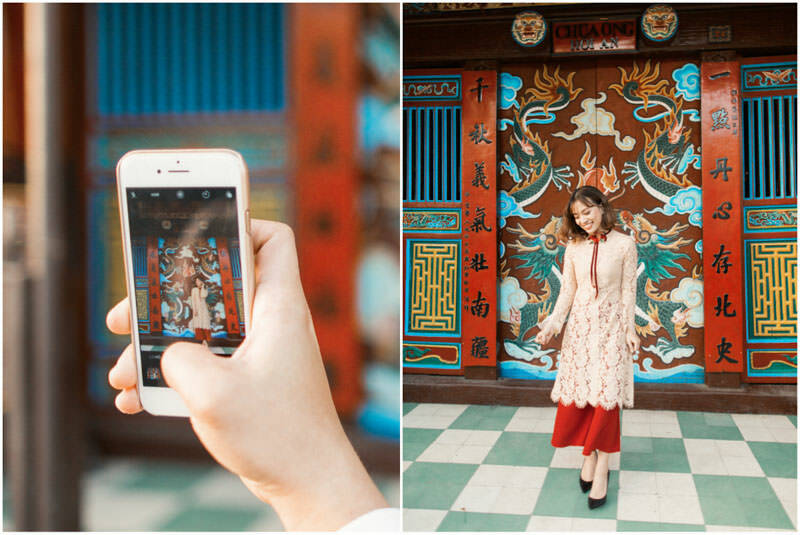 A mix of traditional with the modern. 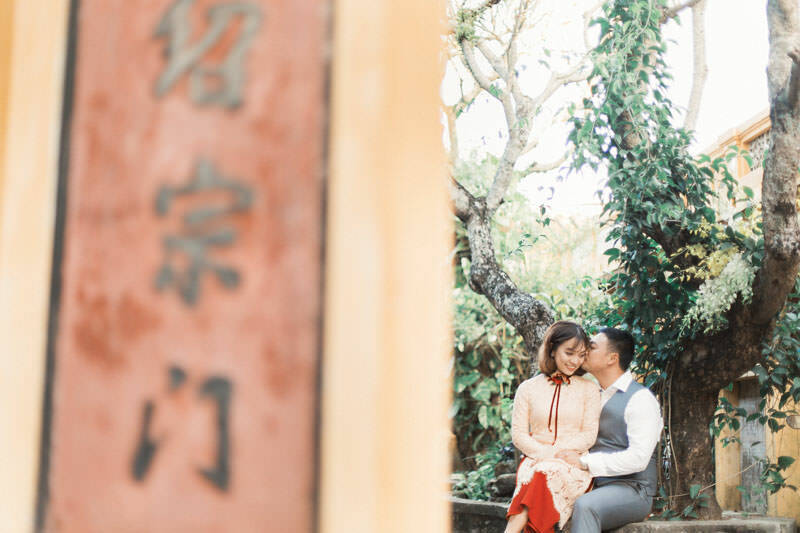 East meets west, which is really what Vietnam is about. 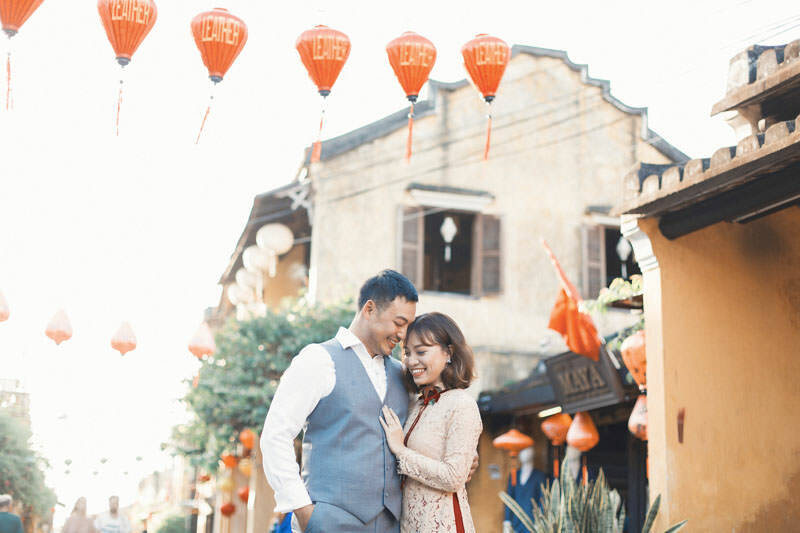 I love traveling to destinations like Vietnam and discovering amazing cities like Hoi An!